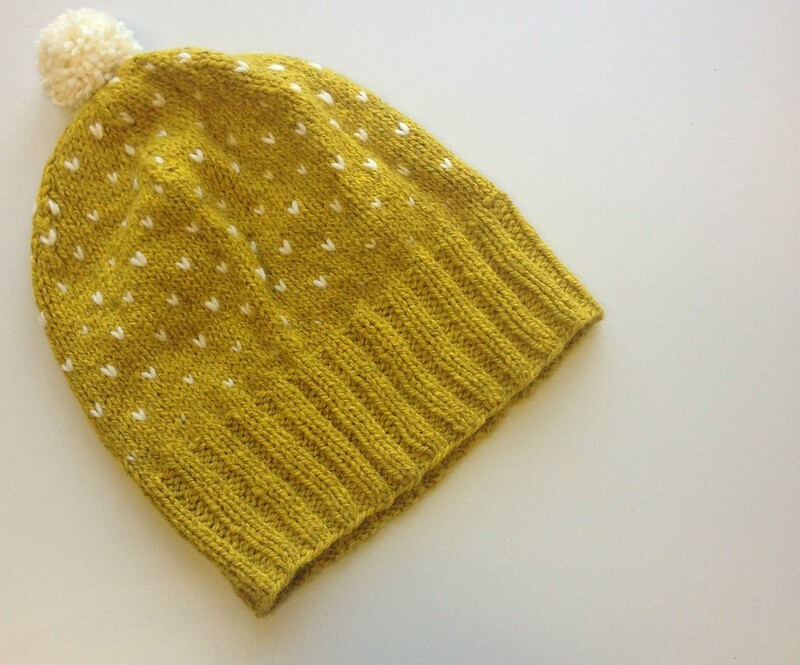 This is a simple be-speckled hat I knit for a friend’s recent birthday. I used a combination of Harrisville Designs Highland wool in the goldenrod colorway and Manos Del Uruguay Wool Maxima in natural. You can grab the pattern from A Dull Roar.